Prime Minister Justin Trudeau says "we don't take anything lightly." Prime Minister Justin Trudeau said he plans to tell U.S. President Donald Trump that his threat to slap tariffs of up to 25 per cent on vehicle imports would have an "incredibly negative effect" on the American economy. The president's request on Wednesday that U.S. Commerce Secretary Wilbur Ross consider whether the imports of automobiles and auto parts threaten national security is likely linked to troubled negotiations to rewrite the North American Free Trade Agreement, the prime minister said. "We know everything is tied to the ongoing negotiations with NAFTA," Trudeau told reporters in La Malbaie, Que., site of the upcoming G7 Summit in early June. "It's clear we don't take anything lightly but it's certain that to try and understand what the links are between the national security of the U.S. and cars potentially made in Ontario, it's starting to become less and less pertinent or justified in any kind of rigorous or intellectually logical way." 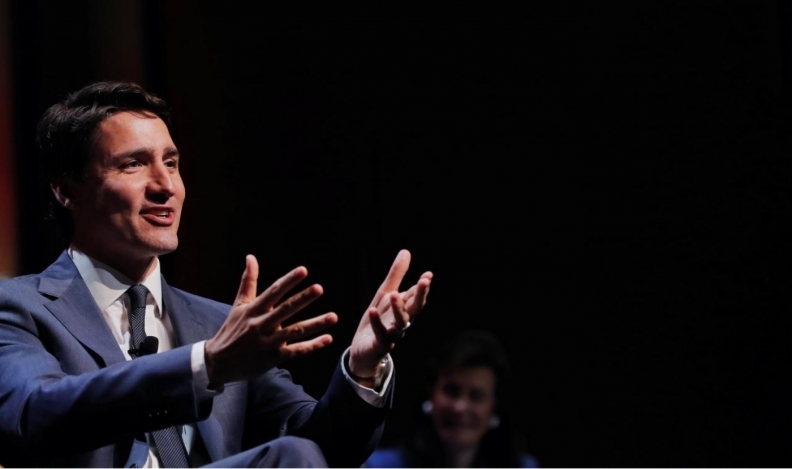 Tariffs that hurt Canada will hurt the competitiveness of the U.S. auto industry as well, Trudeau said, adding some automobile pieces cross the border six times before they end up in an assembled car. "We will continue to be very firm in our defence of Canadian auto workers while underlining that to attack Canada, it will end up hurting the U.S. too, and no one wants that," the prime minister said. The tariff threat is "perplexing" because it would make cars more expensive in the United States if imposed, said David Adams, president of Global Automakers of Canada, which represents Japanese car manufacturers Honda Motor Company, Ltd. and Toyota Motor Corp.
"The prospect of a tariff on imported vehicles is obviously disconcerting and I would think particularly so for American consumers who would end up paying more for their vehicles," he said Thursday. The harm in Canada caused by tariffs would vary depending on how severe and wide ranging they are, he said. "Maybe other countries were in mind when the president was contemplating that but the reality is the two largest importers into the United States are Canada and Mexico," he said. The Canadian auto sector supports about 500,000 direct and indirect jobs, according to the Canadian Vehicle Manufacturers Association. About 95 per cent of Canadian-made vehicles are exported to the United States. A vehicle tariff that includes Canada could penalize American manufacturers Ford Motor Co. and General Motors Corp., which have assembly plants in Canada, as well as Italian-American Fiat Chrysler Automobiles NV. The tariffs could be devastating, but it's doubtful the U.S. will go through with them because the resulting higher costs would give competitors in Europe and elsewhere a competitive advantage, said Sui Sui, an associate professor at Ryerson University's Ted Rogers School of Management. "From Canada's side, higher tariffs mean higher prices and also less demand," she said. "In that case, there's the possibility that factories close down, things move to the U.S."
The threat is typical of Trump's "brinkmanship" negotiating style, she added, and not necessarily indicative of his intentions. Talks aimed at rewriting NAFTA have stalled between the U.S., Canada and Mexico, with the discussions at an impasse over rules for car production. The initiation of the trade investigation could be seen as an attempt to gain leverage in the talks with the two U.S. neighbours. Trump said in a statement on Wednesday that "core industries such as automobiles and automotive parts are critical to our strength as a nation." U.S. Treasury Secretary Steven Mnuchin has said that efforts to renegotiate the trade agreement could spill into next year. Trump brought a little-used weapon to his fight to protect auto workers: Section 232 of the Trade Expansion Act of 1962. The provision authorizes the president to restrict imports and impose unlimited tariffs on national security grounds. The Trump administration used that authority in March to slap tariffs of 25 per cent on imported steel and 10 per cent on aluminum imports, although it gave a reprieve to Canada and Mexico. The tariff threat is likely meant to pressure Mexico into accepting U.S. demands for NAFTA changes that would shift more auto production to the U.S. from Mexico, said Daniel Ujczo, a trade lawyer with Dickinson Wright PLLC. But he questioned whether it would work. "I do not believe that it will have the desired effect," Ujczo said. "Everyone knows that (the investigation) will take too long and has no chance of surviving any legal challenge." Mexico has so far resisted U.S. attempts to get higher regional content rules in the auto industry and move production to higher-wage U.S. and Canadian factories. The U.S. has also sought to change NAFTA's dispute-resolution system and include a sunset clause that would allow countries to exit after five years.